According to Cadena SER, there is a principle of agreement for the extension of the lateral contract until 2021. What seemed entrenched a few weeks ago with few signs of a solution, could have taken an unexpected turn. 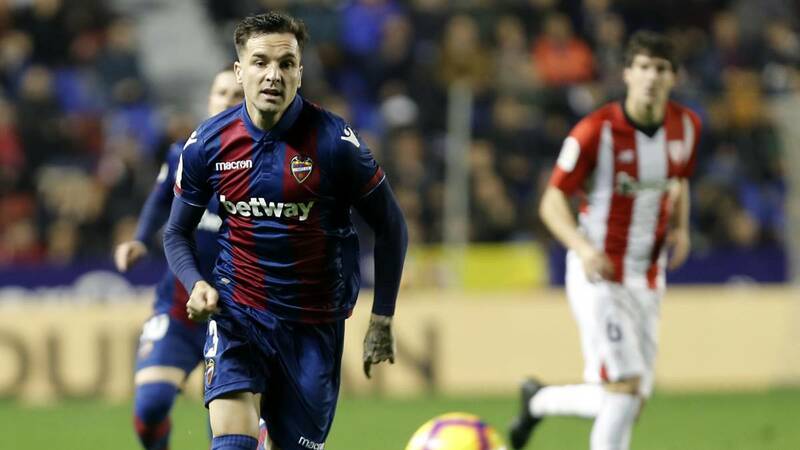 As reported by Cadena SER, Levante and Toño, who have already resumed conversations a few days ago, could have reached a principle of agreement for the renovation of the side. It would be until 2021, with an option of another two years depending on the performance of the player. Tal and how the news of Ser Deportivas Valencia reels, would be three seasons, with the two optional, since the contract would have retroactive character and from this same season would begin to receive their new salary, even to count the disputed matches since in the case of reaching 75 before June 2021 the automatic renewal would take place. He currently has 16 to his credit. A negotiation that has intensified in recent weeks. After Toño's father rejects the first Levantist proposal, everything indicated that the lateral would change airs. In this time, the player has signed with a new agency of representation that has finally been the one that has achieved this new agreement with Granotas. Toño seemed to handle offers from several Spanish teams, which did not finish convincing him economically, and also from abroad, that seduced him more in terms of money, but finally he will stay in Valencia, in the absence of which he becomes official.